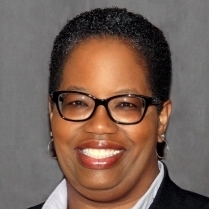 Stephanie Adams, dean of the Frank Batten College of Engineering and Technology at Old Dominion University in Norfolk, Virginia, was named president-elect of the American Society for Engineering Education (ASEE). She will serve one year as president-elect beginning in June and will become president of the society in June 2019. Dr. Adams has been a member of the organization since 1996. ASEE was founded in 1893 as the Society for the Promotion of Engineering Education. It assumed its present name in 1946. Today ASEE has more than 12,000 members. Before becoming dean of the College of Engineering and Technology at Old Dominion University in 2016, Dr. Adams was a professor and chair of the department of engineering education at Virginia Tech in Blacksburg. Earlier, Dr. Adams was associate dean for undergraduate studies in the School of Engineering at Virginia Commonwealth University in Richmond and was a member of the faculty of the College of Engineering at the University of Nebraska-Lincoln. Professor Adams is a graduate of North Carolina A&T State University in Greensboro, where she majored in mechanical engineering. She holds a master’s degree in systems engineering from the University of Virginia and a Ph.D. in interdisciplinary engineering from Texas A&M University. So proud of this woman right here. Doing great things in Va. Glad to hear of this announcement and I’m sure you will serve the ASEE well and make them proud. Good luck and best wishes Dr. Adams. Aggie Pride!!! Congratulations! AGGIE PRIDE in the building! Continue the great work, Dr. Adams! Excellent choice. So dedicated and determined. Wishing you the best. Aggie Pride!